Hi Guys! Hope y’all are enjoying the respite from the bitter cold. I have no idea why, but I love to mix things around and I believe that some of you have requested this topic. Today’s post focuses on decorating with plates on the wall. Now, I have to make a confession which may come as a huge surprise. I mean, I have NEVER specified a plate for a wall, nor recommended it to a client. And, most of my plates came from Pottery Barn. However, that doesn’t mean that I don’t think that decorating with plates on the wall is a bad idea. I don’t. But, if it’s done wrong, it’s pretty icky poo. Well, what’s the wrong way to hang the plates, Laurel? Oh, stop rolling your eyes at me! It does depend! And, one reason is that what would be glorious for some of you, would feel busy (aka: cluttered) and crazy-making for others. In fact, I have never seen an asymmetrical pattern with plates that I thought looked terrific. The exception might be if incorporated with a somewhat asymmetrical art wall. But even there, I prefer things to be more balanced. While the basic idea of this is fine, I think it’s too crowded. Plus, there are too many elements on the table. I love the oyster plates, just not on this wall. I’m not going to put in any more don’ts because I live in fear these days that I’m going to insult someone I know like I did in this post. The photo came down shortly after the post went up. I was mortified! However I came across this article on Remodelista and surprisingly almost every one is a don’t. Please know that I am not dissing this blog. As a matter of fact, I link to it at least once or twice a month. I love it, normally, but this is an old post and it might explain why this one is not up to snuff. It is not nearly up to the high level they currently share. But then, many of my old posts aren’t either. So, let’s get into some great ideas for decorating with plates. I am trying to include something for everyone. So, even for the folks who break out in hives if there’s too much going on, I think that you’ll find some images you’ll like. Okay, just a little warning: The clutterphobes might need to look away for a spell. 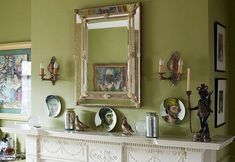 However, if you’re into a little Boho/funky, chic, cooler than cool when it comes to decorating with plates, well there’s no better example than John Derian. Yes, yes I know, I know! Now, please settle back into your seats. We have a lot to cover. For more of John Derian, click here. One more fun composition by John Derian. Some of you may recall that I went to Provincetown on Cape Cod last summer. And damn. I had no idea that John has a shop there. Oh well. Next time, for sure! haha! I definitely do my research! Greg Irvine is an Aussie chap and you must check out his instagram. Please check out this short video about him. Switching gears completely. And clutter haters, it’s safe to stop wincing now. At least, for the time being. I’ve not met James, but I sure do hope to one day. Not only is he incredibly talented, but I daresay that he’s THE happiest human being on the planet. I mean, not only is he smiling in EVERY photograph, he seems to be laughing, in every shot. In case you don’t know, titles of any kind are not copyrightable. Both are terrific books! If you are interested in more terrific design books, click here. A formal, but not stuffy dining room. Love these Majolica oyster dishes. And I do spy Barbara Barry’s Indo Day fabric that is also on my kitchen Roman Shade. This is the work of the late Charles Faudree whose work seems to have taken on an almost cult following. And for good reason. It’s beautiful. Some of my favorite walls that use plates for decorating also include artwork, corbels and sometimes lighting. And no one combines all of that together better than Furlow Gatewood. Every room of Furlow’s is like a master class of decorating. For more of Furlow Gatewood’s beautiful work, click here. Another tone on tone beauty! Laurel. Where are all of the blue and white plates? You want blue and white plates? The only thing bugging me a little (aside from the freckled countertops) is that the shelf is off-center and then the symmetry is broken on the right, but since I can’t see the entire room, I will reserve [too much] judgment. The rest is lovely, I think. Love those Staffordshire Dogs. If you love them too, you can see some that are available for sale. If you’ve got it… Right? If interested, I believe he has more images of this amazing room on his insta linked above. No one does classically inspired compositions better than Suzanne Kasler. This gorgeous home, designed in collaboration with Les Cole. Lovely display of lovely blue and white plates with a giant turkey platter! Here, we can see the opposite side of the same dining room. It is quite apparent that this is a designer who puts her ALL into her work. Mark D. Sikes from the Greystone Showhouse a few years ago. If you’d like to get look of Mark D Sikes for less money, click here. Well, there it is. I hope that you enjoyed all of these fine examples of decorating with plates. Oh, and if you’re interested in learning how to put the plates up, please check out this fabulous post in Driven By Decor. You can also do a wall elevation with your graph paper and map out your arrangement of wall plates ahead of time. PS: Don’t forget to check out the updated hot sales pages. And get your promo codes for both the Serena and Lily 20% off catalog sale and One Kings Lane– still going on! Great examples! 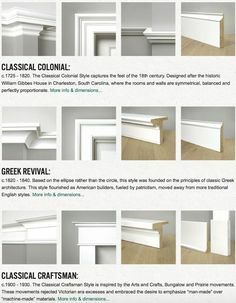 A wonderful topic and very apropos considering your gallery wall posts (incorporate lates as you suggest) and “help, I have a big, empty wall” posts. 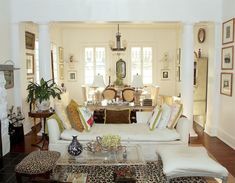 One of your many lovable traits is that you are so generous in sharing the limelight with other designers and decorators. This post is rich. I have marinated in it for days! Added at least six lovely instagram accounts to follow. Laurel you need to add intuitive to your résumé. to figure out a plan, et voilà Laurel to the rescue. Thank you for acknowledging Faudree, love his style. Oh, that is so sweet, Susan. About the intuitive thing. I prefer to think of it as the voice of God speaking to me through my heart and soul. Alas, I don’t always listen as there’s another (insistent) voice in my head which sometimes disagrees. And/or fears the message living in my h and s. In fact, the head voice is so strong it can fool me into thinking it is actually my heart and soul speaking to me. The consequences are never favorable. How intuition relates to blog post topics is not usually as complex. Thanks for this post. I just find the photos of the plate installations, even the not so good ones, very cheerful! Loved the video of Greg Irvine. What an amazing sketchbook! And a bonus–some of my favorite books–James Farmer, Gil Schafer and Furlow Gatewood! I have a plate wall. It has over 100 plates! My collection started off simply enough but then I kept going to make a real statement. More is more! Kelly Wearstler’s Viceroy Hotel was my inspiration. If you scroll down to the bottom of the post, there is a link for my colleague Kris Jarrett who did a whole tutorial and with sources. As I said, I actually haven’t the foggiest of how to put up a plate. Found it and here is the link. Full disclosure: I have some plates on the wall of my own home! They were double difficult because we have plaster walls and everything is hanging from a picture rail. 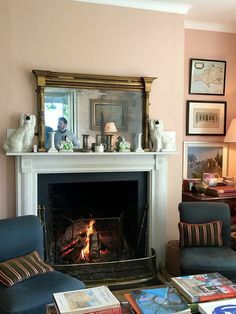 Would love to see some advice in future about hanging things in older homes this way! But what I really came here to say – is that this post put me in mind of this installation of art at the High Museum in Atlanta. I LOVED it when I saw it – the pic doesn’t do the scale justice. It’s about 20 feet tall! It made me want to do something like this on a wall at my home, but I’m still figuring out how. I just want to say how much I enjoy your posts and your sense of humor! You always inspire me and I love your brutal honesty when something is off. I really appreciate your sense of style and classic taste. Thank you for brightening my morning when I see an email from you in my Inbox. Some lovely displays here, Laurel. I’ve seen 2 asymmetric displays that work, and have used one myself (plates in a curve shape) which I think works. I note that in some pics the symmetric display involves pairs of identical plates, which looks too deliberate to me — I think same size and shape but somewhat different decoration works better and gives a more “collected over time” look. Hi Laurel, I am on a Notebook PC, using Firefox browser, and just freshly loaded your blog. There is still no check box for comment notification! I already filled in the name, email, etc. just in case that is required for the check box, but it definitely is not showing up. I am replying from Taiwan, but have been here since September with no problems since the last time this issue came up. I am so happy that you included James Farmer’s designs in this post…he is probably my favorite designer. He is a fellow southerner, after all:). Good morning! Having my cup of tea and reading your post. Yes, indeed I do like those plates on the wall. Ah, the blue and white, so beautiful. Ohhhh..Laurel! Plates on walls make me happy because I love color, the rhythm of multiple plates and I don’t mind clutter. And you’ve found the most beautiful, ravishing collection of ‘plated’walls! I love plates on walls so much that for the summer, I hang up a collection of antique brown and white plates on the brown shingle wall of my front porch. Wow, Laurel, I just love every single photo in this post. Far from giving a cluttered look, plates as wall decor give a warm, homey feel to a room. I have them in my living room, dining room, and kitchen. I know most of the designers you featured, but I’m going to have to research James Farmer. He’s adorable! I had no idea that you can’t copyright book titles. Wonder why? And Charles Faudree–I’ve always loved him, and his books are wonderful. He is indeed missed. Hello Laurel, These are some beautiful and interesting interiors you have presented, but I am still not sure if hanging plates is my thing. One problem with plates on walls is that they can look spotty. In the how-to-hang tutorial, she states that a certain kind of holder can “let go suddenly” but then shows how it was used to hang an arrangement of plates over a bed! Many of these plate vignettes remind me of the old Victorian art of arranging diatoms on microscope slides. If you haven’t seen these, just search “diatom slides” then choose images. They are amazing! I did have to look up diatom slides, but chuckled quite a bit about “then choose images.” I’ve done that thousands of times over the last I don’t know how many years. I remember when my son taught me that. I believe he was still in high school, so it was before June, 2008.